Artisanal fabric look brought to life. 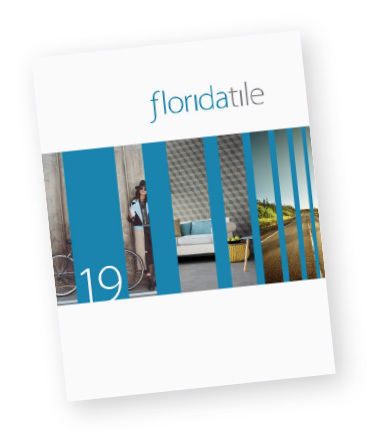 WexfordHDP is a warm, artisanal fabric look brought to life with proprietary High Definition Porcelain® technology by Florida Tile. The graphic is a beautiful representation of burlap that includes semblances of interlacing fabric strands and subtle nuances of pattern shift. A light punch and specialized glaze create a soft appearance and delicate texture that combine for a fashionable statement – perfect for any commercial or residential application. This color body glazed porcelain tile comes in multiple formats – 24x24, 12x24, 8x24, and 3.75x12, all rectified. Classic colors of Linen- a creamy off-white, Muslin- a light beige, Burlap- a medium taupe, Wool- a light blue/gray, and Tweed- a dark gray, all complement one another, allowing you to mix and match to create a uniquely inspired space. Two mixed-color cube mosaics come in either light or dark mixes. A straightstack mosaic and bullnose are also available in all five colors. Made in the USA in our Green Squared® certified Advanced Manufacturing Center in Lawrenceburg, KY, WexfordHDP contains 40% pre-consumer recycled content. It meets the DCOF AcuTest® requirements to be installed in wet areas and is GREENGUARD® and Porcelain Tile certified. Incorporated into the tile surface is Microban® antimicrobial technology that works continuously to inhibit bacteria growth, improve visible cleanliness, and reduce odors.